When you go to the dentist to get a cavity filled, the dentist will remind you to floss and brush your teeth daily to prevent future cavities. Similarly, we strongly emphasize a daily back or neck exercise program to prevent a future recurrence of back strain. Once you have a back pain attack, you’re four times more likely to have a recurrence. Being a previous victim of back pain requires you to work extra hard to prevent future back attacks. A home exercise program is typically customized for an individual’s specific back problem. These exercises can be done on the living room rug while watching TV. Other stretching exercises can be done throughout the day to increase flexibility. The way to prevent future back or neck pain is by using customized exercises that make the back stronger, more flexible and resistant to injury. Just as someone with a heart problem needs to watch their cholesterol, diet and exercise, someone with a back problem needs to keep their back flexible and strong. When faced with the task of lifting an object, it’s essential to use proper body mechanics, or even to get assistance if the object is too heavy, in order to avoid injury. Studies maintain that exercise is more effective at treating cases of simple back pain than bed rest and drugs. This is ironic, because when a person's back hurts, just the thought of exercise is painful. In truth, drugs only mask pain symptoms. Exercise, on the other hand, is like oil for joints in the spine. In addition to improving blood flow to discs, joints and muscles, exercise makes muscles more flexible, stronger and resistant to future strain. First, be sure to put ice on the injured area, then alternate with heat. The ice helps reduce inflammation by constricting the surrounding blood vessels and reducing blood flow and swelling. Never apply ice for more than five minutes at a time, because it could freeze the skin and soft tissue. After two days, heat should be applied to the area to increase blood flow. Non-Steroidal Anti-Inflammatory Drugs (NSAIDs) such as Advil, Nuprin or Ibuprofen have an advantage over other painkillers, because they also reduce swelling. 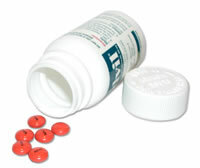 People who are allergic to ibuprofen should try Aleve, Tylenol or Aspirin to reduce pain. If you experience an attack of back pain, start taking NSAIDs for the next few days, as instructed on the bottle. They are much more effective if you can maintain a constant level of the drugs in your body. Try to avoid taking the pills and letting them wear off, before taking another dose the next day. When you hurt, your body is telling you to stop doing the activity that is causing the pain. 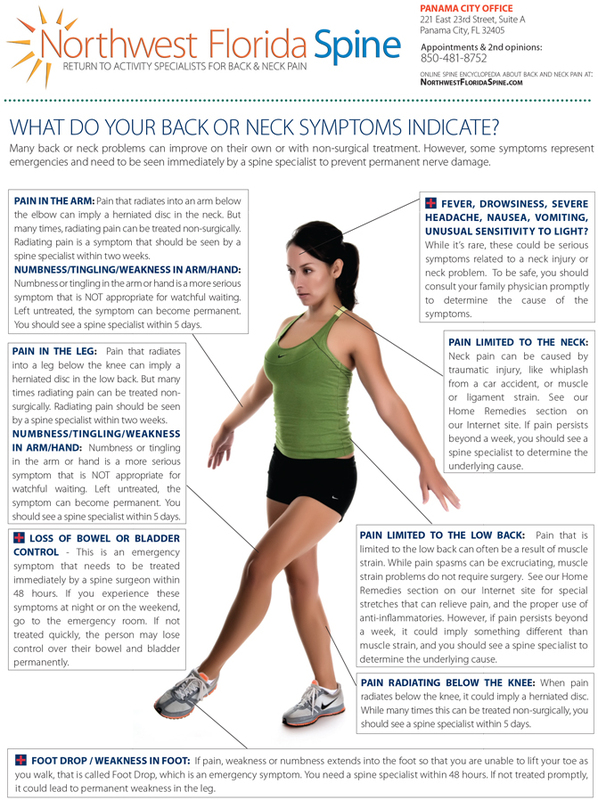 Back or neck pain can cause almost any activity to hurt. Lying down for a few days can seem like the most logical solution. However, more than two days of bed rest can cause the muscles in the back to weaken, making activity more painful and recovery slower. After one or two days, get up and move around. Take a slow walk to get moving again. Walking around the neighborhood is a great way to alleviate back pain. Walking helps stretch out muscles and get the blood flowing. Stiff muscles will start to relax. An alternative to walking outside is to walk in a pool. This alleviates pressure from the spine, joints and ligaments.